Brush is from the EcoTools Travel Set. 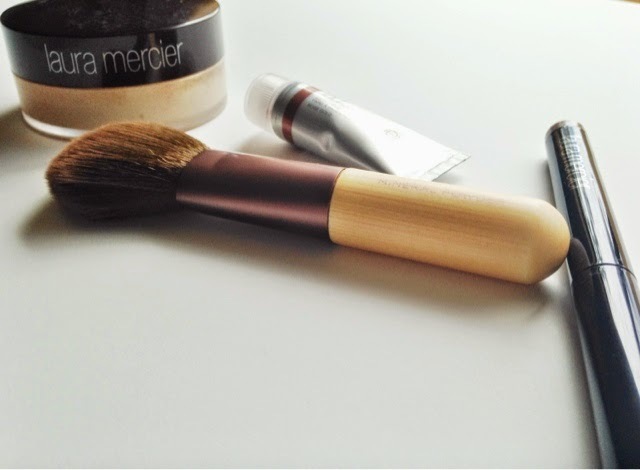 To be quite frank, I am in complete awe of Laura Mercier and all this brand has to offer. I used to have the incorrect notion in my head that LM was not for me. Boy was I wrong. A few weeks ago during a very sporadic trip to Blue Mercury, I decided to explore two separate eye products. The rose gold metallic shade (in the tube) is one of my favorite colors because it’s a beautiful rose gold that is just so flattering with any makeup look. The one quarrel I have with this product is the wear of the shadow itself. 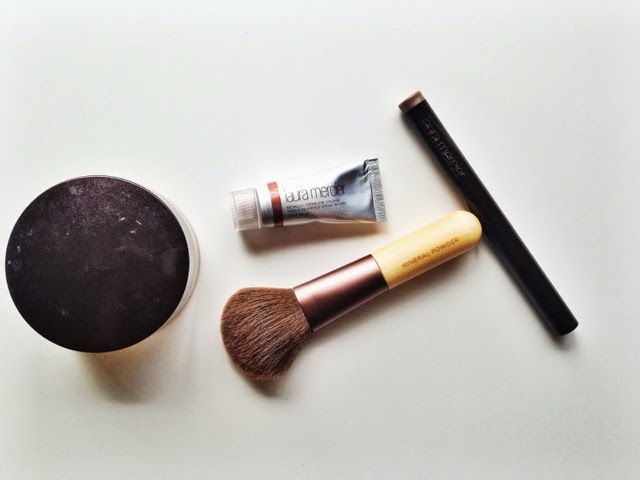 If you have oily eyelids, you may have a tough time with it simply because it’s creamy and moisture tends to separate the pigmentation after some oily build-up throughout the day. How do I know this? I have the oiliest eyelids known to man. To make the look last as long as possible, I always go in with NARS Smudge Proof Eyeshadow Base before applying this shadow with my fingertips. Some days I don’t need any additional work later in the day, but I do find myself tending to my eyes and blending the formula to fill in any spots where the color has moved or disappeared. Us with oily eyelids have it tough! Now I also really love the stick eye colour because its pigmentation is strong and really gives your eyes that “pop” of color that’s so gorgeous in the day as well as in the evening. Because it’s essentially an eye pen, the application is ridiculously easy and not messy at all. 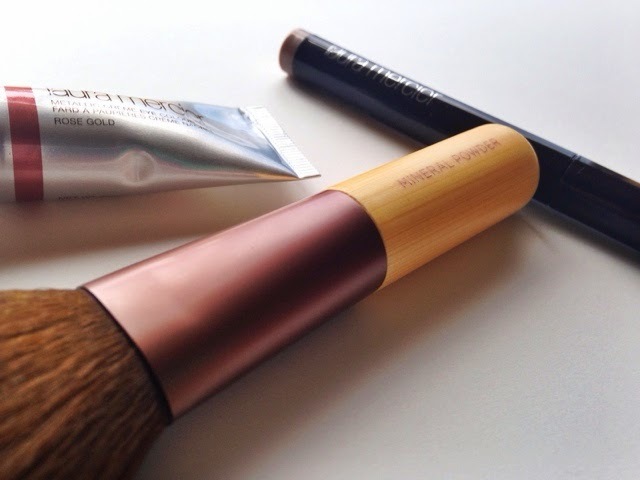 The formula blends beautifully, so if you need a little extra work to blend it all in, just use your finger. This product is a 100% win! The loose powder is something I’ve been dabbing on my face as a mattifier for years, and I am still in love with it. Mine is in the shade “Warm Beige.” It’s a very light powder that blends well while maintaining the appearance of natural skin. It’s basically making your skin look much nicer by blurring pores, wrinkles, and any blemishes. I also really like that it has SPF 15; it just makes this purchase much more appealing because SPF is a big deal for all of us, but especially those of us who live in the desert. 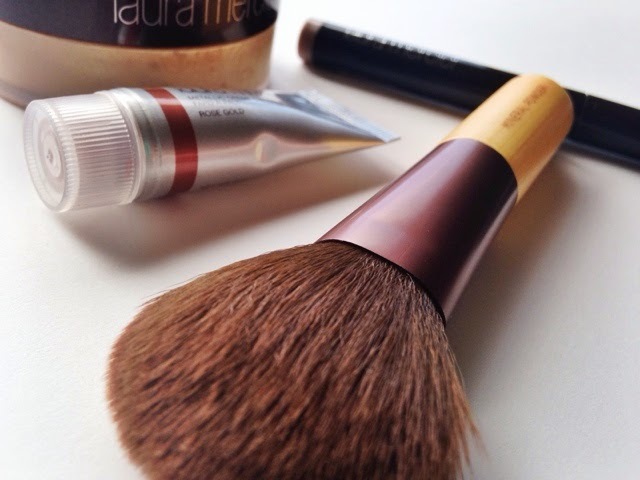 I have a feeling I will be going shopping for a few more Laura Mercier products very soon so let me know what products you love and that I should pick up. 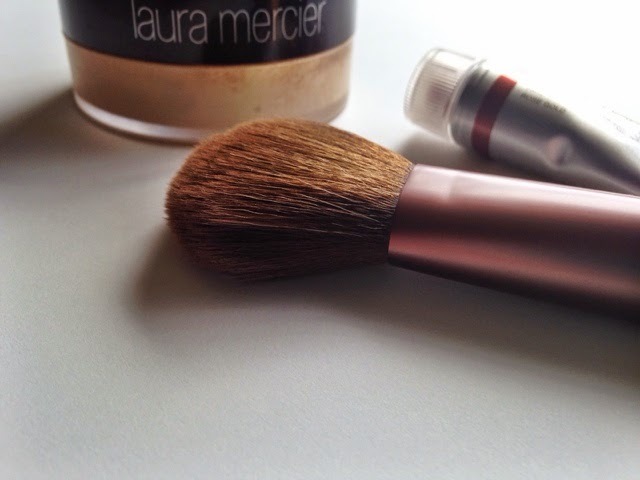 Do you have any Laura Mercier products? Which are your favorites?